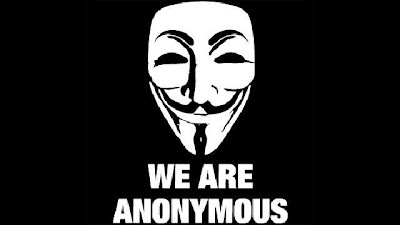 Anonymous the hacktivist group has been in news recently for hacking various Indian Govt. websites to register their protest against Indian government for censoring Internet. The protest started when various ISP's blocked various torrent sites after a court order by Madras High Court. In the continuation to that process Anonymous has started a nation wide protests campaign starting from Mumbai today. Anonymous group posted a press release on their blog which confirmed that the nation wide protests will start from today in Mumbai and will reach other states of the country thereafter. The group has stated in the press release that they want the protests to be peaceful. The group mentioned some guidelines for people who will be participating in the protests. The press release from the group further stated that, "the movements will assigned within the title of Occupy India that will be kicked off this June 9th The Cities that are getting ready to take part are Bangalore Delhi Mumbai Culcutta Chennai Kochi Mumbai Hydrabad and many more. Any one who feels they need this movement needs to be in their city can start a FB page for the Occupy City movement and let us know about it. We call on the people to help spread this message and get your friends and family to join this noble cause". Internet censorship has been a topic of debate in recent times not only in India but abroad too. Anonymous also launched a protest against SOPA and PIPA previously. A voice of protest also rised in India when Kapil Sibal had given a statement regarding censorship of social media. The current scenario is very crucial and govt. has not given any statement on the protests. It will be interesting to see what the government does in this situation when the protests reach Delhi. We will keep you updated with all the news regarding Anonymous protests in India.